The queen of cakes, author, television presenter, celebrity chef and baker extraordinaire tells us her secrets. How do you keep your classic recipes modern and relevant? I adapt them by update and using new ingredients i.e. baking spreads, new fruits and vegetable, new grains like quinoa and puy lentils, these are all modern ingredients if you compare them to when the classics were invented. If you could invite anyone to dinner who would you ask and why? Dame Judy Dench, I admire her acting and family values and she dresses gracefully with flare, I like to think we would get on well and have a giggle. What is the simplest piece of advice you’d give to someone who wants to start baking? Choose a good recipe that you know your family and friends will enjoy. Weigh accurately and carefully and follow recipe and right sized tin. If you could only bake one cake for the rest of your life, what would it be? What is your favourite go to recipe when you are in a hurry? Victoria Sandwich because I could make it in my sleep! What’s the one piece of Lakeland kitchenware you couldn’t be without? Oh so many – traybake tin, little palette knife, spatulas, steam cleaner. We can’t imagine you have had many Mary, but what’s been your biggest baking or cooking disaster? Too many to remember! In a cookery demonstration many years ago I was baking a cake and we had a power cut, no electricity and the cakes were not cooked in the middle. I improvised, cut the uncooked middle out and it looked like a ring mould – filled it with cream and fruit and hey presto! How long have you been a friend of Lakeland? I think about 50 years, they were then called Lakeland Plastics at Alexandra Buildings in Windermere. The lovely late Michelle Kershaw would bring the latest equipment to Housewife Magazine, in Holburn, where I was cookery editor and we would try out the gadget or piece of equipment together, I would then write about the ones I liked in the magazine. Lakeland were always first with new ideas. 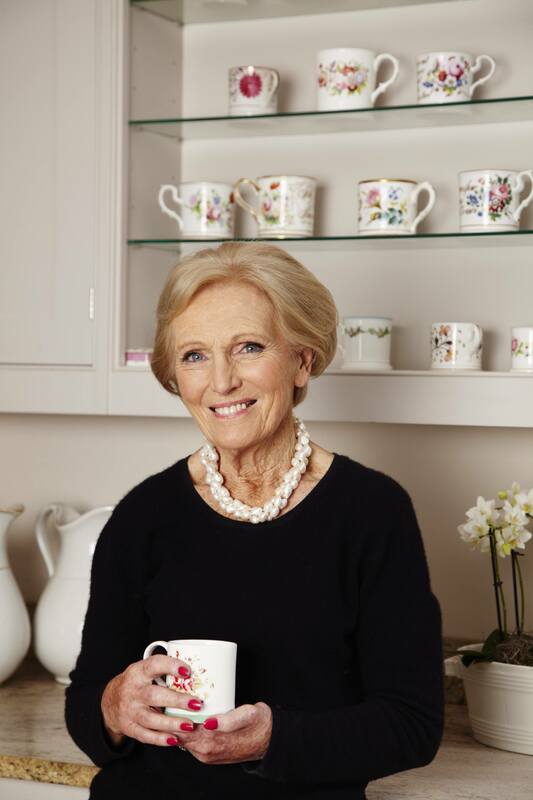 Could we also ask you for your Top 5 Baking Tips please Mary?